3 Ways to Teach Yourself English! "How can I teach myself English?" 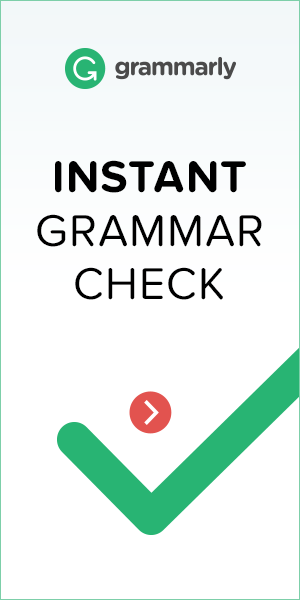 This is one of the most common questions we receive here at Word Perfect English. According to tesol.org, there were 1.5 billion English language learners in the year 2014 and that number continues to grow each year. It is almost impossible for each learner to hire an English teacher to study with due to geographical location, financial costs, available time etc. Being able to teach yourself English is becoming more and more popular and is crucial to improving your language skills long term. 1 - Study & Memorise Regularly! Studying grammar, vocabulary, pronunciation and every other aspect of the English language should be done in small pieces! * Learn new words and structures regularly, such as daily or every other day. Remember your exams at high school: studying for one night or one week is much more challenging on your memory than having a regular revision habit for several weeks or months! * Keep your study time short! Your memory can only hold a limited amount of new information. 20-30 minutes is a good amount of time to take in new knowledge. Anything over this will cause you to forget information in order to remember something else. * Link the new English information to something you already know. This could be a translation into your mother tongue, a memory, a picture or anything that makes it easier to remember! This helps to store your new info into your long term memory. Some people are comfortable with studying by themselves at their own speed, some people need a little bit more help. If you are the latter, Lingualia could be a great option to support you through your studies. Lingualia creates a syllabus for you to follow and guides you through new vocabulary and grammatical structures which you can learn at your own pace. Not only can you study from home but you can also download the free app for your mobile phone and study wherever your go! This is perfect for quick and effective intake of new knowledge as you have all the everything you could ever need in your hand! 2 - Practice, Practice & Practice! * Reading: English newspapers, books, magazines, websites. * Writing: Emails, reports, to-do list, keep a diary, start a blog. * Listening: movies, music, podcasts, real conversations. * Speaking: anywhere you can! A lack of opportunity to speak to others in English is a common obstacle for a lot of students around the world. This is where Word Perfect English can help! You can create a free profile here, including the topics you like to speak about, and contact other English language learners. Not only can you send written messages to other members or groups, but you can even speak via video chat and it is all for free! If you aren't a member already, you can join here in less than 60 seconds. *Listening to music whilst reading the lyrics. Find a variety of testing methods that work for you! If you watch movies, then think how you could test yourself with them. If you don't watch movies then this is not an effective test for you. Quiz testing however is always a pretty safe method to check your vocabulary and grammatical knowledge. Some of the more recognised quizzes belong to Cambridge English and BBC, where you can find a range of different opportunities to challenge yourself. So to summarise, to teach yourself English requires 3 key steps: study, practice and testing. How you choose to do these may depend on your personal style or preference but they should all be completed to stay motivated and to keep progressing. Now that you are fully equipped to teach yourself English, good luck and keep learning! ⟵How to Compare & Describe in English Using Idioms! Pingback: What's Stopping Your Learning English?